Ramada Udaipur Resort and Spa, Sisarma, Udaipur, is one of the best lake view hotels and has something mysteriously amazing about it. Offering a beautiful view of Sajjangarh also known as Monsoon Palace, it attracts its guests. This royal destination for your wedding is set amidst nature and creates the best ambiance for grand events with its lush green gardens and traditional stonework. 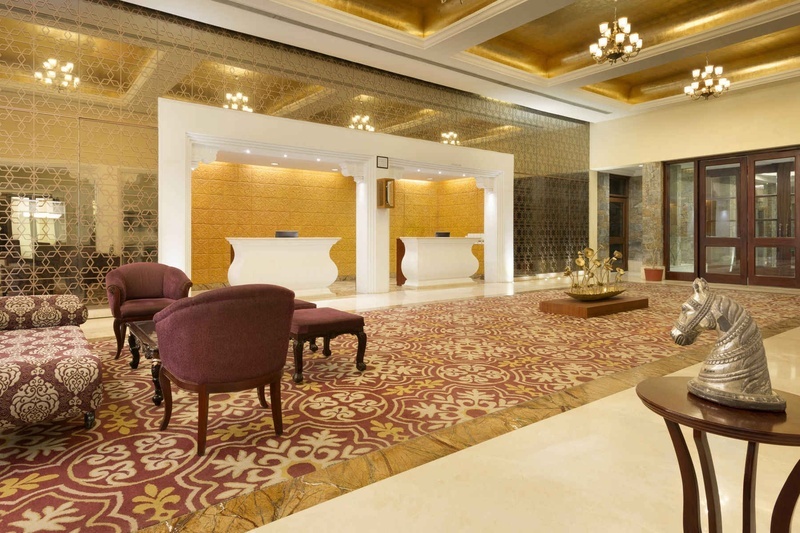 Be it a grand wedding or intimate reception party, Ramada Udaipur Resort and Spa, Sisarma, Udaipur, offers luxury and adds aesthetic value to any event or function that you plan to host here. Spread across 6.6 acres of land, it has multi-tiered 72 rooms with varying capacity. The iconic design of this lake view resort is one of a kind. The large swimming pool, open terrace area and the restaurants add to the grandeur of this place. The venue facilitates multiple party areas that can be utilized for many functions like wedding, engagement or reception. From unmatched banquet hall facilities to stunning pool side areas, you'll not be disappointed in organizing your big day at this venue.